It's that time of year when Easter eggs abound! We usually go a little over board in the egg painting. Why? Well because it's fun of course! We still have the same stash of plastic Easter eggs from the very first year that I filled them for JZ and J-Bug who are now seven and five. I'm pretty sure I bought them at the dollar store or another value store. With all of the fun art projects we've done with eggs, we've certainly gotten our money's worth! In addition to creating art with plastic eggs we love to extend the creative play of dyeing real eggs. I'm not an advocate for wasting food, but for these ideas the eggs were eaten first! 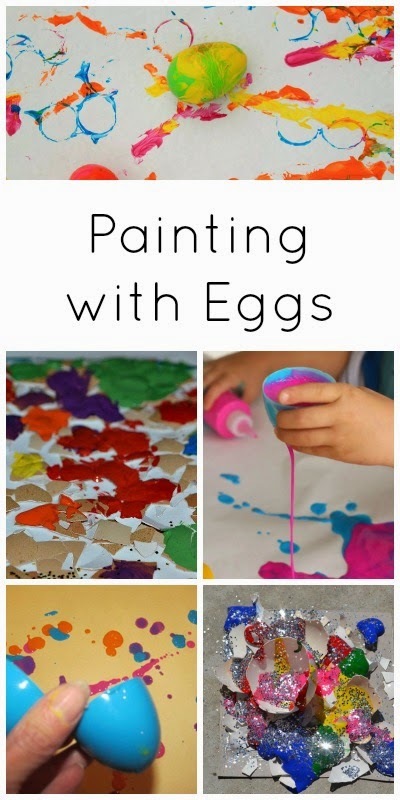 Be sure to check out all the ways the egg shells were used for art and other fun ways to paint with eggs, both real and plastic! 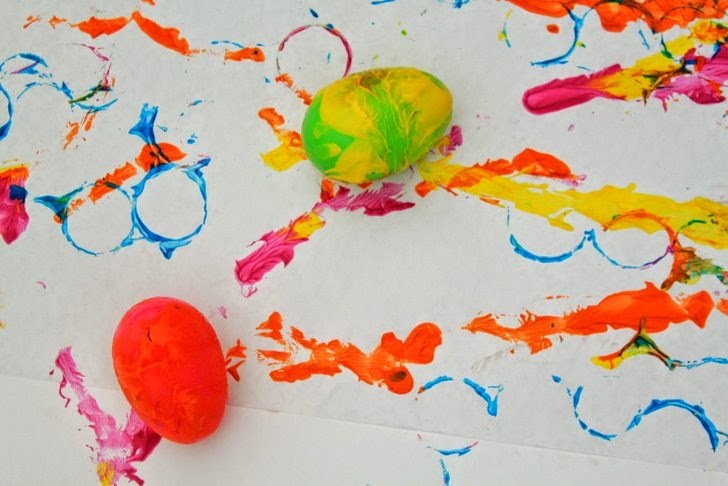 Combine art and science while drip painting with plastic Easter eggs. Make egg shell collages with shells from dyed eggs. Make homemade tempura paint using egg yolks. 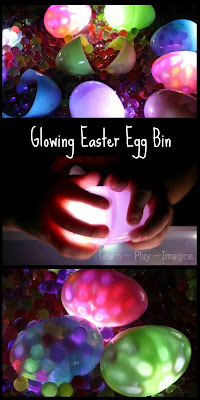 Make your own Easter egg dye. 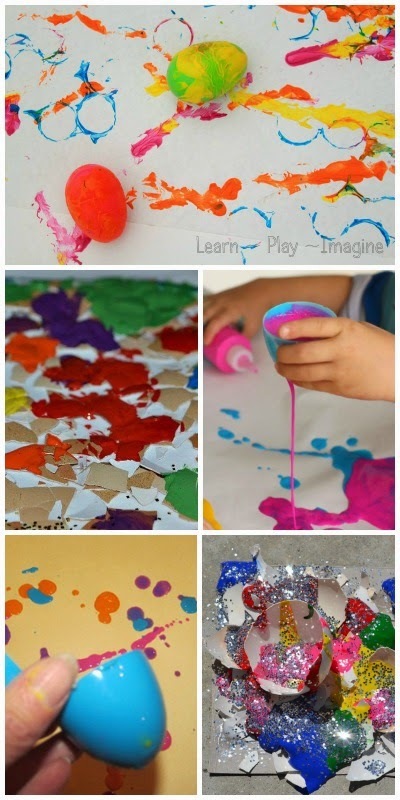 Make prints with plastic eggs. For more ways to paint with eggs follow me on Pinterest.